... until it turns into goddamn fanfiction. Joseph Mallozi, notorious writer on all three Stargate series has posted a pretty detailed plan for the SGA season six premiere/movie that never was on his blog. As I already mentioned in past entries, the movie would have opened on a shot that revealed Atlantis’s new home on the lunar surface. We learn that the gate has been offline since its return to Earth but, under pressure from the IOA, the decision is made to bring it back online, have it supersede the Earth gate, and make it a permanent lunar base. The decision isn't embraced by everyone. Woolsey and McKay, for instance, point out that they still have a responsibility to the people of the Pegasus galaxy. Of course the IOA are hardly moved. Unfortunately, when the gate is finally brought back online, Zelenka reports a build up of energy in the capacitors. Too late they realize that the Ancients put a failsafe in place in the event Atlantis was moved. McKay realizes – the city will self-destruct unless it returns to the Pegasus galaxy. As anyone who has ever watched an episode of SGA knows, their epic plan to get home fails halfway through and they get stuck in another galaxy far, far away. 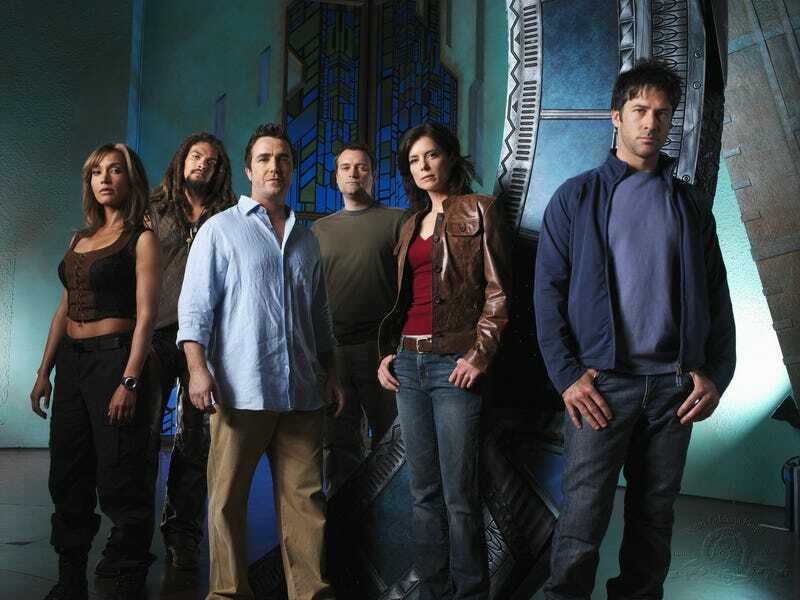 The episode would involve more time travel shenanigans and favourite trope of the Stargate writers: alternates of the main characters, including everyone's favourite lifesucking alien Todd. I would have loved to see this on screen as the relationship between Todd and Sheppard was always interesting and Joe Flanigan and Christopher Heyerdahl had awesome chemistry on screen. Atlantis re-establishes itself, Beckett gets his turtles back from Rodney and assumes a permanent position as Atlantis’s new head of medical R&D, and John comforts a grieving Teyla now aware – via the revelations of time travel – that they are destined to be together. So they fridge Teyla's husband, conjured into being in a rush in season 4 to accommodate Rachel Luttrell's pregnancy in order force a relationship that hasn't worked that way since season 1, no matter how much the producers wanted it. I always thought Teyla and John's relationship was more brother/sister and that it worked so much better that way. Then again, considering some of season 4 and most of season 5 was a hot mess, perhaps it's better that Atlantis went out on a (somewhat) high note. I'd love to see more of these characters (perhaps an animated series?) but I wouldn't quite trust the previous writers with all of it.